"You don't like Valentine's day, do you? 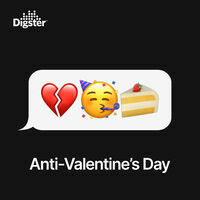 Then you're in the right place - because you'll definitely like this Anti-Valentine playlist! Add it to your favourites."